For years, David has been donating his time and funds to support various Children's Charities. David has been a member of the Northeast Exchange Club for 18 years. This membership has allowed him to help organize their major fundraiser, Ribfest, which has increased funding for charities by 40% through corporate sponsorships. The Northeast Exchange Club has had David serve as their Vice President of Marketing for eight years and their Chairperson of Ribfest for the past three. He is proud to be a member of this organization because the event has given $5 Million Dollars out to Children Charites over its 25 years of operating. 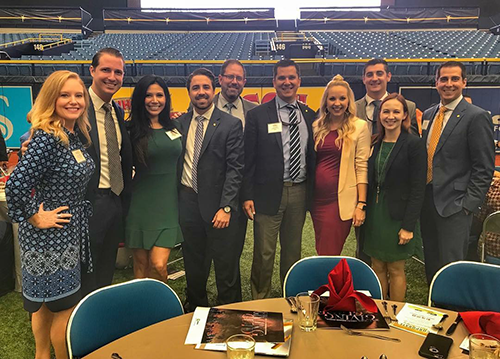 As the Managing Director at Northwestern Mutual, David gets to help support the firm's efforts in the Fight Against Pediatric Cancer. The local offices have raised over $250,000 since 2015 for Alex's Lemonade Stand Foundation. 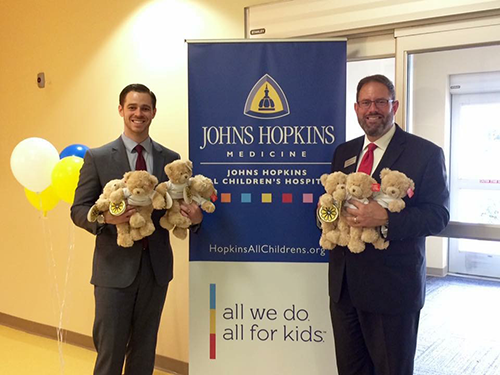 These efforts lead the local offices to provide a $200,000 grant to Johns Hopkins All Children's hospital to endow a Physician Assistant in the Cancer and Blood Disorders Unit. Funding for the grand was provided by the Northwestern Mutual Foundation and Alex's Lemonade Stand Foundation.